The class is designed to empower children by helping them build self-confidence, respect others and develop an awareness for their own body and surroundings. While working at their own pace, they will learn yoga postures and breathing/relaxation techniques. 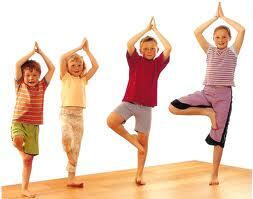 The classes will be a playful environment which include fun activities such as games, singing, and dancing. Parents are welcome to Stay and Play! Saturdays 9-10:15pm 1550 S. Pearl St #202, Denver CO Adult yoga happens at the same time next door, practice for yourself while kids enjoy yoga too!